Titanfall is easily one of – if not the – most anticipated games set to release in 2014. Many gamers view its release as the true starting point for the next generation of game experiences. And with Titanfall set to release on March 11, that supposed true starting point is just around the corner. For those who can’t wait to get immersed in the all-out war between the Interstellar Manufacturing Corporation and the Frontier Militia, The Art of Titanfall acts as a sneak peak for what is in store for audiences. Its 192 pages are a pure tease as it gives readers a look at the game’s visual concepts and overall design through all stages of production. Compiled by Andy McVittie, The Art of Titanfall begins with a forward by Lead Artist Joel Emslie and an introduction by Game Director Steve Fukada. While Emslie champions the role of programmers and sound designers for their effect on the game as well as their effect on the art department, Fukada discusses how the concept art itself played an essential role in what Titanfall ultimately became and how each piece of art in the book gives a glimpse into that process. The Art of Titanfall is divided into four main categories: Titans and Pilots, Vehicles, Weapons and Tech, Locations, and Graphics & Modeling. It begins with a comprehensive look at the Titans you’ll be piloting in the game like the Ogre, Atlas and Stryder. They’re covered from all angles and the differences between them are pointed out. Wonder what the interior of a Titan might look like? Well, look no further. 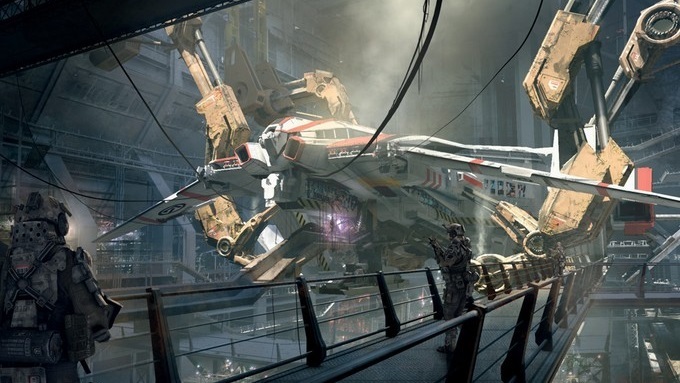 Artist Lewis Walden shares some rendered concept images and there is also a very early concept of the Atlas cockpit before Titanfall became the large multiplayer game that it is now. The largest section of the The Art of Titanfall is also the best: Locations. Roughly 100 pages are dedicated to twelve widely different battlefields. The visual of a Red Giant as a backdrop to refineries and refueling stations in Demeter reminds you that Titanfall takes place in “The Frontier,” where the enormous bones of Leviathans seen in the Boneyard reinforce the fact that there is more going on in this universe besides mech on mech violence. After an all too brief section on Graphics & Modeling, Respawn Entertainment’s CEO Vince Zampella writes a few words on what the making of Titanfall has meant to him. Fans of Zampella’s previous work with Infinity Ward are sure to be excited for what’s to come from him and Respawn Entertainment. 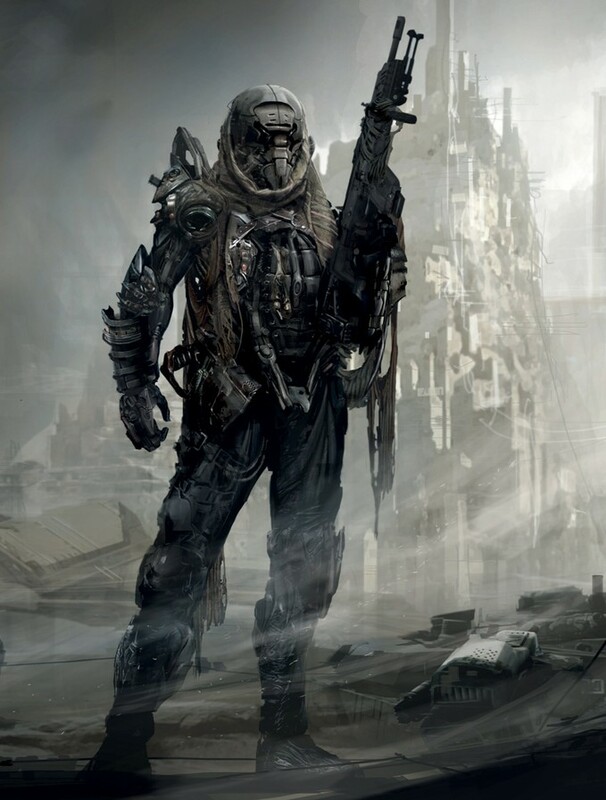 The Art of Titanfall is sure to please those who can’t wait to experience the new world Respawn has imagined. With detailed images from all visual facets of the game including weapons, locals and the Titans themselves, The Art of Titanfall is sure to to be found on quite a few coffee tables this year; all without the slightest tinge of regret. As well there shouldn’t be; The Art of Titanfall is a great addition to any person’s art collection – gamer or not. The Art of Titanfall will be available on 2/25/14. An early copy was provided to Pixel Related for review. Tags: Respawn Entertainment, The Art of Titanfall, Titan Books, Titanfall. Bookmark the permalink.